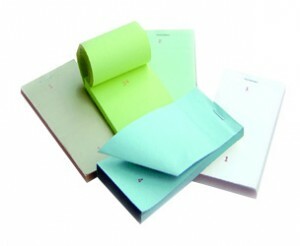 We supply an extensive range of Cheap Restaurant Pads. We can offer Single Sheet, Duplicate Sheet, Triplicate Sheet and even Quadruplicate Sheet. All of our pads are eligible for guaranteed next day delivery. If you need help finding the right ones for you, give us a call and one of the team will be able to help.